Robin Bengtsson is a contender for this year's Melodifestivalen win. Though much of the focus has stayed on Wiktoria and Nano, particularly after Loreen's shocking elimination, it is entirely clear that his entry has all the makings of a potential winner. From the sleek, sultry production backing a catchy melody, his spot-on vocals, the clever and memorable staging, styled to perfection wrapped in all the attitude of an artist that's already won, there's no doubt that this has the potential to take home the win. Bengtsson is unphased by his position in the running order, fourth out of twelve entries, and whether going on this early could block his win. "I think it has a lot to do with who's performing before and after you. Both Lisa and Jon Henrik's songs are ballads and mine is more up-tempo. I don't need the best spot." Bengtsson has also been spending time in the studio recording material for his upcoming EP. Should his entry win and be sent to Eurovision, it's unclear how the release date of the EP will be effected. 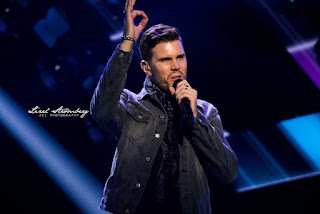 But one change that has been made for the finals is that the profanity will be taken down a notch to the word "freaking" instead which will allow the entry to not be too edgy for the jury voters and also get ahead of the change that would be necessary to make it abide by Eurovision rules.